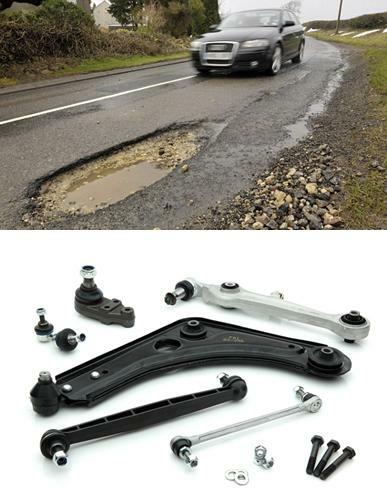 Freezing temperatures can make potholes an even bigger problem at this time of year, with huge amounts of damaged to steering and suspension parts caused by poor quality roads. Time is critical when these parts need to be replaced, so you need a reliable range, offering total coverage that is in stock and available now. FAI from ADE is the only answer you need when it comes to replacement steering and suspension components. The range offers complete market coverage with over 6000 part numbers. Some 750 new additions were made to the range in the last 12 months meaning it is the most up-to-date and relevant in the market place. All parts are manufactured to OE quality specifications and designs and are subject to stringent testing to ensure the highest performance standards are always maintained. The products you need to meet winter demand are also all in stock and are available for immediate delivery.